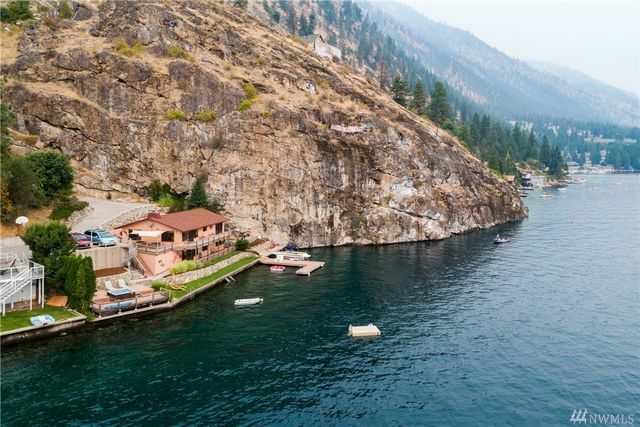 New to the market, this is a unique waterfront home, all tucked away in beautiful Lake Chelan, this 3 bed/3 bath home settles within its own protected cove while demonstrating over 160'of private waterfront. Home is finished in cedar paneling, tile floors. open kitchen and cozy settings throughout. This two story retreat is perfect for entertaining or simply kicking back and taking in the view. See the hot tub, bottom right? 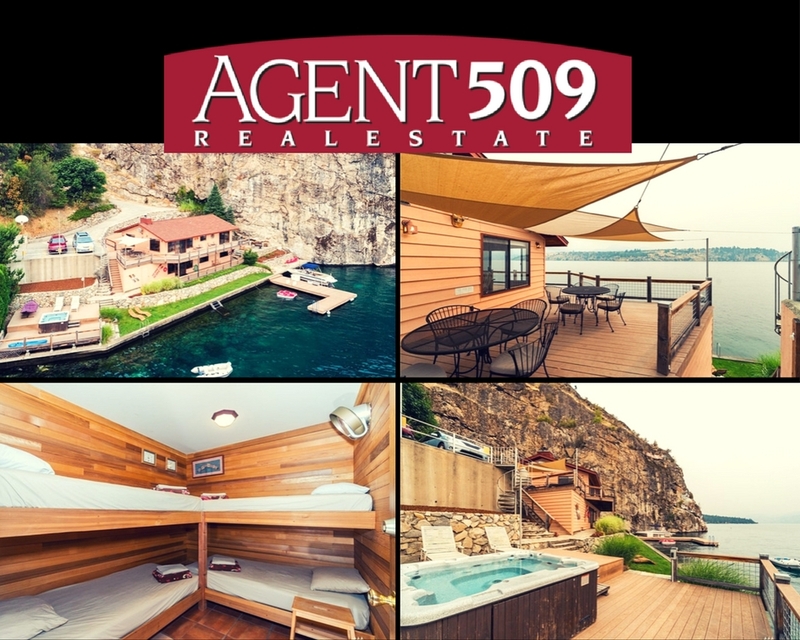 Picture yourself in it under the eastern skies of Chelan.